Make sure your child has a sight test. Whilst common complaints include blurry vision, headaches and sore eyes. Under-achieving at school could also be linked to vision. 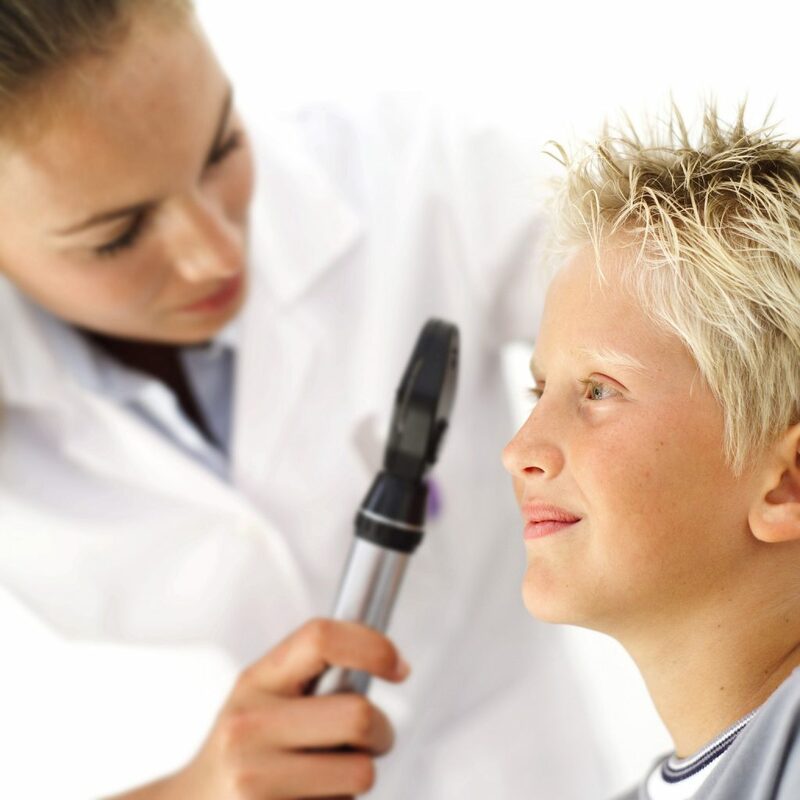 Regardless of symptoms it is essential for children to have regular eye tests. Ensure your child takes frequent breaks when using screens or handheld devices. A few minutes break every 20-30 minutes will make a difference. The eyes need to re-focus on objects further away instead of constantly focusing on a screen close to them. Try to limit the use of such devices and computers/screens where possible. Try to encourage your child to follow a healthy diet. Include lots of fresh fruit and vegetables (especially greens) as well as lots of water and eating foods with naturally high levels of omega oils (such as seeds, nuts, soya beans, fish etc). Encourage your child to ‘get out and get active’. Latest research suggests that children who spend more time doing outdoor activities are less likely to be short sighted. Also, physical activity is great for training hand-eye and eye-body coordination, this can improve how the eyes work when reading and learning. However, always protect your child’s eyes from the harmful effects of UV from sunlight. In addition to using sun cream, use good quality, well fitting sunglasses. Over-exposure to UV can have cumulative damage to the eyes; 80% of a person’s lifetime exposure to UV occurs before they reach the age 18.